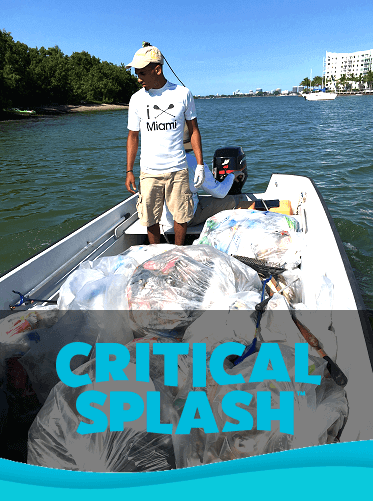 Following in the footsteps of Critical Mass, the once-a-month cycling activity that brings people of all ages together to ride the streets of Miami, Critical Splash is hoping to take that same level of community togetherness to the waters of Biscayne Bay for a special ride on the water and volunteer cleanup event. Miami-Dade Parks, in partnership with iPaddle Miami, wants to inspire visitors and residents to explore our blueways system and discover that they, too, are a part of the parks system. Critical Splash will be on Saturday, June 16, 2018, starting at 10 a.m., at the Pelican Harbor Marina, 1275 NE 79 St, Miami, FL 33138. Participants are welcome to bring their own paddleboards, kayaks, and canoes. Those without equipment can reserve in advance and rent it at paypal.me/ipaddledonations for just a $10 fee. Volunteers will take a short “ride” over to Pelican Island where they will pick up trash and clean up one of our city’s most unspoiled islands, and then take a short ride back to the marina. Program is open to volunteers ages eight and above. For more information or to register, contact 305.ipaddle or visit miamidade.gov/parks.